My apologies that the blog has been inactive for so long! I knew that it had been a long time since I had posted, but did not realize until I logged in that it had been almost a year. Life got busy with running my private practice, preparing for a baby, and then welcoming my wonderful little guy into the world. 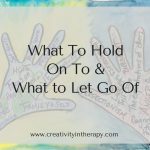 However, things seem to have settled into a new rhythm and I sincerely hope to make more space in my life for self-care, art creation, and this blog. So, former readers – I hope you haven’t given up on me and will resume reading. New readers – the one year gap in posts should not be expected going forward. Bethany was inspired by Gretchen Miller’s Creative Deed 365 project. 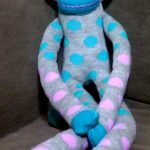 Each day in 2015, Gretchen is creating a small artwork that is then dropped off in the community to be found or gifted to someone. 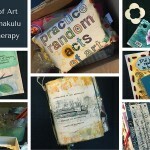 Check out her wonderful blog posts for more information and to see her artworks. She also has a Facebook page for others who are participating to share their artwork with each other. Bethany also recently organized a community art booth at The Texas Farmer’s Market in Cedar Park to make and share RACK cards as an event to promote National Children’s Mental Health Awareness Week and art therapy. I volunteered to help and it was great to see community members making art to share with others and finding RACK cards on the art wall that spoke to them. I look forward to seeing this project grow and spread! 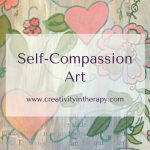 As Bethany explains, “The intention is that the art will inspire the person who finds it to continue spreading the creative kindness! 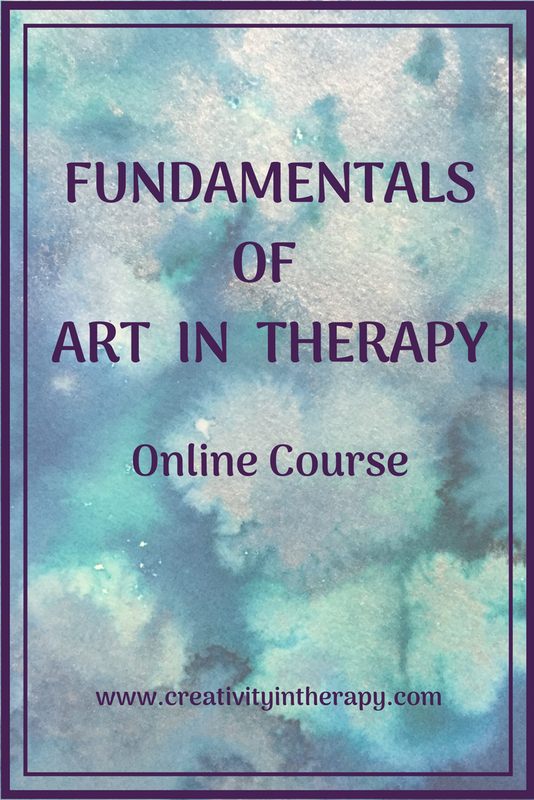 To pay it forward with art.” And it’s a creative activity that can be adapted in various ways. I am inspired to make more RACK cards at home to share in my community. Bethany plans to have more networking events for mental health providers to connect and create cards. 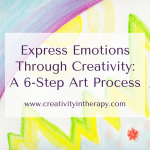 This could also be a great activity for a therapy group or a fun homework assignment for a client. An elementary school teacher I know is considering having her class participate. And I’m playing with the idea of setting up some art card supplies in my office waiting room for clients and their family members. 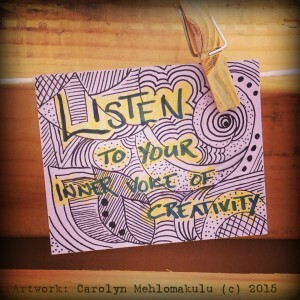 Do you want to create your own art cards to share as a Random Act of Creative Kindness? Simply create a small-ish artwork that you can then leave in your community as a gift for someone else. 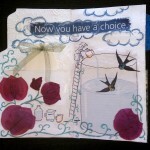 (If you’re feeling very ambitious, consider Gretchen’s Creative Deed 365 Project). Don’t be discouraged if you don’t think of yourself as an “artist.” Anyone can be creative, and finding a positive message is guaranteed to brighten someone’s day. Cardstock, cardboard, and repurposed coasters and playing cards all make good bases for your artwork (and you don’t need to stick to the standard dimensions of an Artist Trading Card). If you are leaving your card outdoors, consider placing it in a plastic bag for protection. You can leave an artwork anywhere! Some suggestions are parks, post office, grocery store shelf or among the produce, a waiting room, gym or yoga studio, coffee shop, restaurant, and community bulletin boards. If you want to participate in social media, take a picture of your card where you leave it and share on Facebook, Twitter, or Instagram with the hashtags #randomactsofcreativekindness or #RACK. And if you find a card, please post that too. If you are organizing a group event to create RACK cards, considering preparing various card bases in advance, pre-printing labels for the back, and having an assortment of inspiration quotes and positive messages for participants to use. 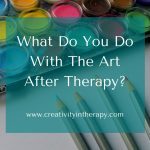 Carolyn Mehlomakulu, LMFT-S, ATR is a therapist in Austin, Texas who works with children, teens, and families. 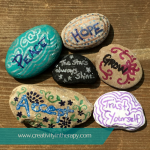 For more information about individual therapy, adolescent and child counseling, family therapy, teen group therapy, and art therapy services, please visit: www.therapywithcarolyn.com. Awesome! Keep up the great work and creating/spreading the love through these acts of creative kindness! Thanks, Gretchen! And thanks for the inspiration. Thank-you for your thoughtful sharing of text and images that are stimulating and interesting!